Join us for a two-part workshop series for artists, writers, and other creatives led by Susan Caraballo. Participants may register for one workshop or both workshops. Workshops are open to the public, to all ages, genders and skill levels. Advance registration required. Participation is limited and expected to fill up quickly. Register below. Susan Caraballo has had a long career as an independent arts consultant, producer and curator. Early in her career, she founded Artemis, a service and presenting non-profit arts organization, whose mission was to support and develop South Florida-based artists. Currently, Susan works with the Harpo Foundation and independently curating exhibitions and developing creative projects. From 2012-2016, Susan served as the Artistic Director of the ArtCenter/South Florida. Prior to this appointment, Susan was the Producer and Assistant Curator for the Contemporary Arts Project at Vizcaya Museum and Gardens and Administrator at Cisneros Fontanals Art Foundation. 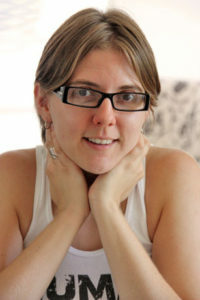 She has worked with numerous arts organizations and artists in South Florida and Washington, D.C.
Susan has served on a number of Boards of Directors and Committees, including City of Miami Beach Art in Public Places, Tigertail Productions, 801 Projects, SFCA’s interdisciplinary Sound Arts Workshop, and the Children’s Cultural Coalition. She has also served as a panelist on several grant review panels including Miami-Dade County Department of Cultural Affairs, State of Florida Division of Cultural Affairs, Southern Arts Federation, Arts & Humanities Council of Montgomery County, Ohio Arts Council and Miami Light Project’s Here & Now Festival. 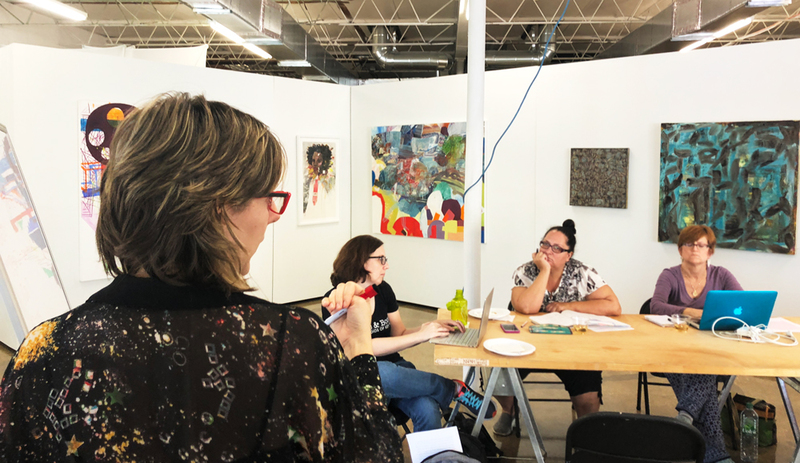 This hands-on workshop on how to write an effective and persuasive artist statement will take participants through the different uses of an artist statement, giving their “elevator pitch,” and creative writing exercises as tools to describe their work. Participants are asked to provide a digital version of their current artist statement and bring two hard copies for peer review. Participants are encouraged to bring writing materials or a laptop to the workshop. Whether participants are in the midst of a proposal and want feedback or they want to delve into writing proposals, this workshop provides a hands-on approach to the process. Through a combination of writing exercises, discussions, and a mock panel, participants will gain first-hand experience in the grant writing and grant making process. Participants are asked to fill out a mock artist fellowship application before the workshop. The application is emailed at the time of registration. The application deadline is a few days prior to the workshop. Applications will be peer reviewed by participants. Participants are encouraged to bring writing materials or a laptop to the workshop. Thanks to support from Girls' Club founders and the Broward County Cultural Division, these workshops are available for $20 registration fee (regularly $50 fee) and includes lunch snacks, coffee and refreshments. Workshops take place at Girls' Club Warehouse, 723 NE 2 Avenue, Fort Lauderdale. Funding for this project was made possible in part by Broward County Board of County Commissioners as recommended by the Broward Cultural Council, the State of Florida, Department of State, Division of Cultural Affairs and the Florida Council on Arts and Culture and private donors.